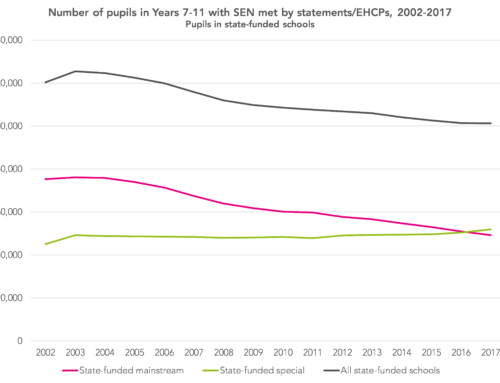 Secondary school performance tables have been published this morning together with an associated statistical release on attainment at a national level. Some of the information it contains was included in the provisional release back in October, which we blogged about here. Today we get additional information on the performance of different groups of pupils. 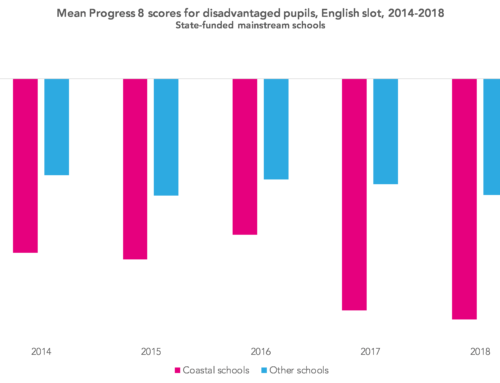 The Department for Education’s disadvantage gap index, which is based on the difference in median ranks for disadvantaged and other pupils, shows a slight increase. Although Attainment 8 scores from 2017 and 2018 are not directly comparable, the average for disadvantaged pupils fell from 37.0 to 36.7, whilst increasing from 49.8 to 50.1 for other pupils. 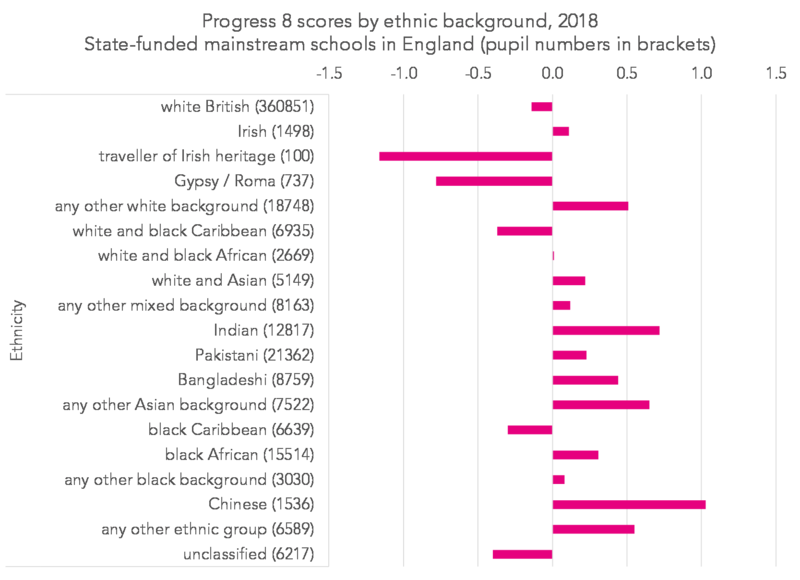 This will be no surprise to regular readers, but some groups of pupils tend to achieve far worse Progress 8 scores than others. 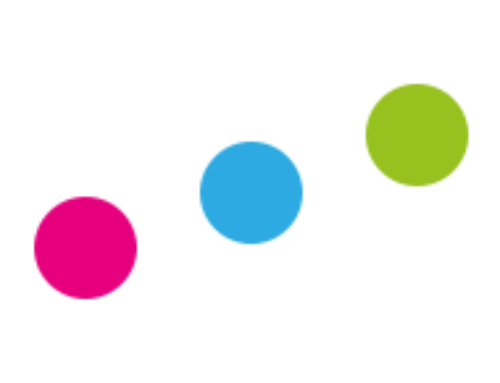 Progress 8 offers schools no incentives to take on pupils with SEN met by a statement or EHC plan. These characteristics also interact. The average P8 score for disadvantaged boys was -0.68, for example. 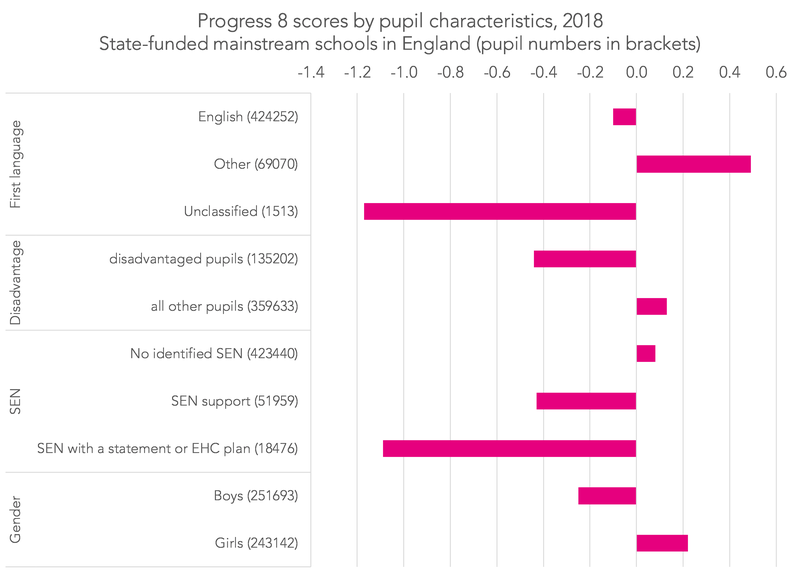 As schools are not uniform in the characteristics of their pupils, those which have more disadvantaged pupils tend to achieve lower P8 scores. This has long been the case and has been further reinforced by research published today by academics from the University of Bristol [PDF]. 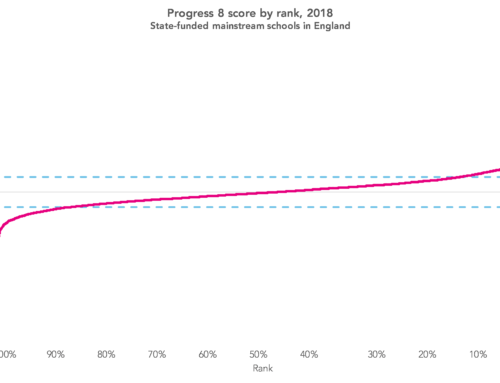 For those of you in schools with access to FFT Aspire, remember that you can see fully contextualised Progress 8 scores and contextualised value added scores for a whole range of other indicators. 3. Are pupils taking fewer subjects? Today’s statistical release also shows that, on the surface at least, pupils entered fewer qualifications this year. 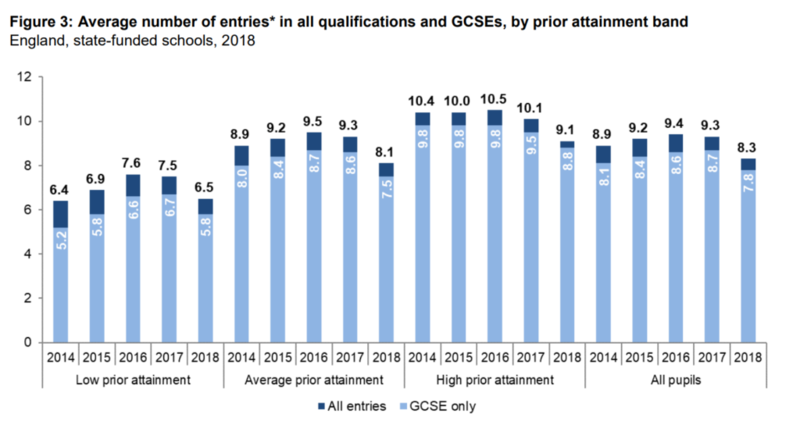 In 2017, pupils entered 9.3 qualifications on average, falling to 8.3 this year. A large part of this is due to science reforms. Previously, entries in core and additional science counted as two GCSEs. But the new combined science GCSE only counts as one, even though two grades are awarded and it counts as two slots for Attainment 8 purposes. The DfE suggests that if combined science were to count as two GCSEs then pupils would have entered 9.0 qualifications on average. This is still lower than 2017. The DfE suggests that some of this may be due to early entries in legacy GCSEs not being counted in reformed subjects, but it may be that fewer qualifications are being offered due to funding pressures – though we can only speculate about this at this stage. Even though floor standards don’t matter as much as they used to, university technical colleges, studio schools and FE colleges have been removed from their scope. We wrote about this some time ago and it seems a sensible step given that their curricula are not necessarily well-aligned with Progress 8. 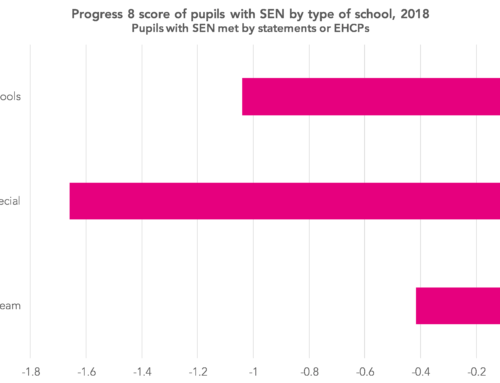 It’s probably just as well that floor standards don’t matter as much as they used to, since the number of schools falling below the standard (a Progress 8 score below -0.5) increased from 309 to 346. As an education consultant and also governor of a broad-spectrum secondary school, I found these data analyses clear and very useful.